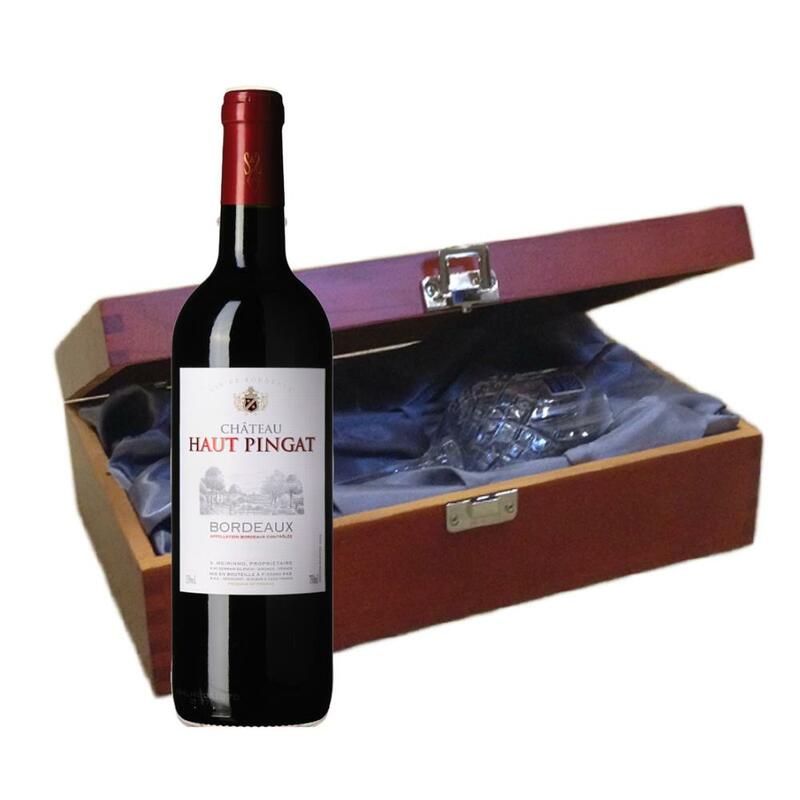 Send a bottle of Chateau Haut Pingat Bordeaux wine in a lovely box beautifully stained featuring traditional joins with hinged lid and clasp fastening. Along with a beautiful hand cut lead crystal Royal Scot Wine glasses. All gifts come with a gift card with a message of your choice. Plummy purple in colour with aromas of ripe red and black fruit on the nose. On the palate it is silky and smooth with a hint of spice from the Cabernet grapes. Supple tannins are also present, but not overpowering This product is hand packed onsite by Gifts International, and is not affiliated with any other brand. Gifts International is responsible for this product combination/set.